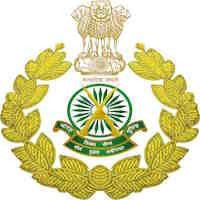 Online Application Details for Indo Tibetan Border Police Force ITBPF Recruitment of 10 Commandant (Engineer) is given below. Application form and duly attested documents are to be sent to Deputy Inspector General (Pers), Directorate General, ITBP (MHA/Govt. of India), Block-II, CGO Complex, Lodhi Road, New Delhi-110003. In envelope super scribed with 'Application for the Post of Post Name'.